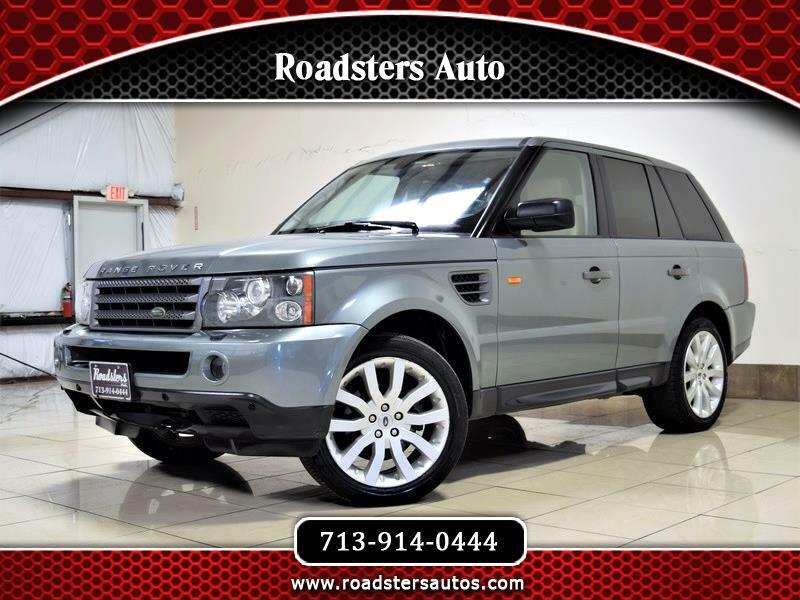 ROADSTERS AUTO IS SHOWCASING FOR SALE THIS SHARP LOOKING AND MAGNIFICENT 2007 LAND ROVER RANGE ROVER SPORT HSE ! THIS GORGEOUS SUV IS FEATURING LIGHT GREEN COLOR EXTERIOR ON PREMIUM TAN LEATHER INTERIOR! WITH ONLY 133K ORIGINAL HIGHWAY MILES IT LOOKS STUNNING FROM THE INSIDE AND OUT. IT COMES FULLY LOADED WITH OPTIONS SUCH AS PREMIUM INTERIOR PACKAGE, WOOD TRIM, POWER WINDOWS AND LOCKS, POWER MEMORY SEATS, POWER MOONROOF, NAVIGATION, CD CHANGER AND MANY MORE(SEE THE PICTURES FOR MORE DETAILS)! ALL THE OPTIONS FUNCTION ACCORDINGLY! THE POWERFUL 8 CYCLES 4.4L ENGINE RUNS LIKE NEW AND THE AWD AUTOMATIC TRANSMISSION SHIFTS SMOOTHLY INTO GEARS AND PROVIDE A LOT OF POWER! THE BEAUTIFUL LIGHT GREEN COLOR EXTERIOR SHINES BRIGHT LIKE NEW, AND THE TAN LEATHER INTERIOR HAS BEEN KEPT CLEAN! THE OVERALL CONDITION OF THIS PREMIUM PACKAGE HSE IS GOOD, AND IT IS PRICED TO SELL VERY QUICK SO CALL US NOW AT 713-914-0444 TO BUY IT NOW!